JPEG - a small graphic file best used for on-screen uses such as slide shows or video. These are relatively low resolution files and should not be resized any larger than the original file. EPS - a vector file that can be resized without any loss of registration. You will need software that can read and edit EPS files. PNG - similar to JPEG, these files are relatively small and lower resolution, but also have transparent backgrounds and can therefore be used over background colors or images. These files should not be resized larger than the original file. 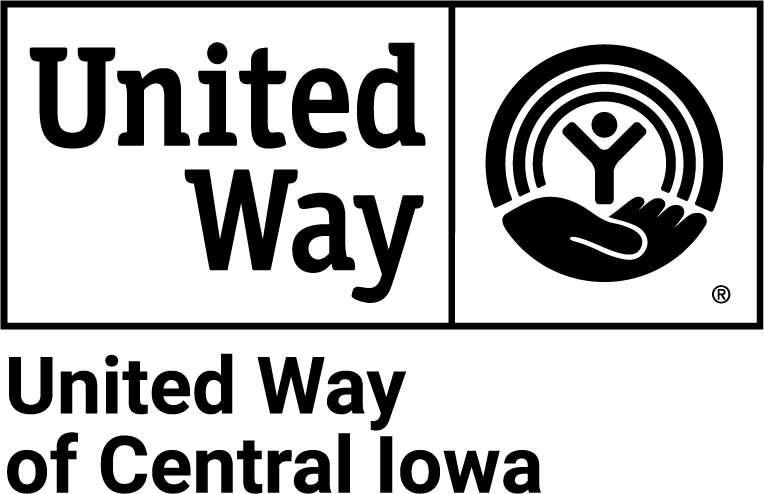 The United Way brandmark is a registered trademark. Please review the Brand Identity Guidlines before using these images. Use only the colors shown on this page; do not imprint the United Way logo in any other colors. 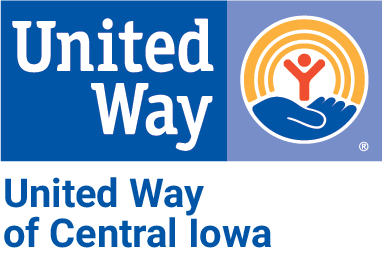 The words "United Way of Central Iowa" should always appear with the brandmark, in the exact position and typeface shown. The box surrounding the brandmark is part of the image and should not be removed. At all times the logo must be clearly visible and distinctive. Do not print words or images over the logo, screen the logo to use as a background, or render it as a transparent or watermarked image. Do not print or display the logo smaller than one inch wide. If you need to resize the image, it must retain its original proportions. Do not separate the elements within the logo. For example, the hand, rainbow and person icons need to remain within the logo together and unaltered. When writing about United Way, do not use "the United Way". It needs to be "United Way". If you have any questions, or request usage of United Way’s logo for a purpose other than to co-brand a workplace campaign or to indicate a partnership with United Way, please email contactus@unitedwaydm.org. 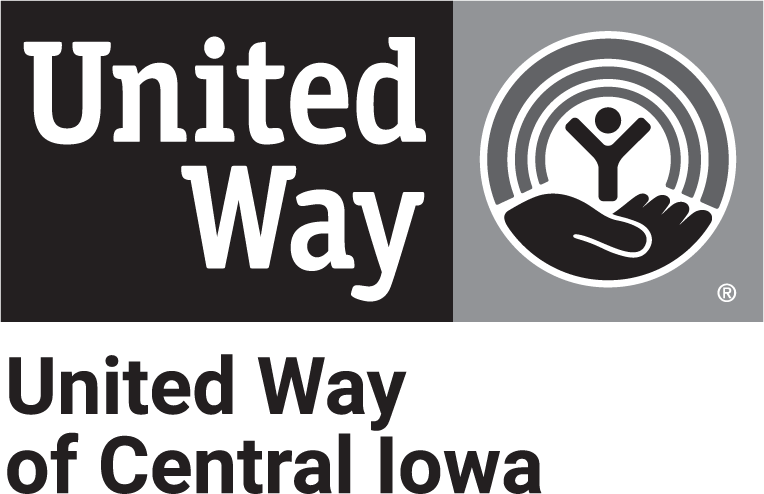 Logos for various United Way and partner programs and initiatives are available upon request. Please use the form on our Contact Us page to outline your request, and to let us know the context for use.